We can supply a complete temporary fencing service including delivery of materials and erection of fencing also the supply and fitting of access gates to your specifications. 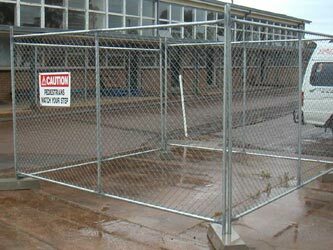 Constructed from heavy gauge galvanized tube and welded mesh infill it is light and easy to handle, easy to erect and can be used time after time. A gate can be installed at any point on the perimeter. All fence panels are Anti Climb and are available in Standard and Heavy Duty.